​each morning and at day's end. Check the mobile app for most up-to-date transportation info! All delegates should park in the garage and not the lot. There will be signs directing you to the garage. Upon entry in the garage, take a ticket. It should be validated at the front desk upon departure only and is only active within that 15 minutes. WGBH will serve as the primary Science Media Symposium venue. This beautiful, modern, LEED certified space features a large atrium lobby area for casual networking, a theater for film screenings, and beautiful studios for all Symposium programming. 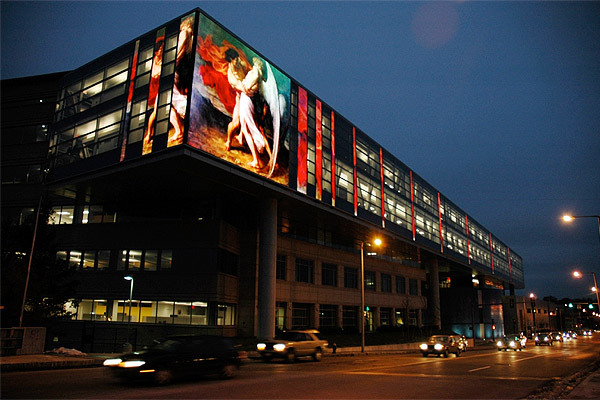 WGBH is located in Boston's Brighton neighborhood, close to Allston, Cambridge, and Watertown. Parking at WGBH is virtually nonexistent! We will provide morning transportation to WGBH from our partner hotel​, and transportation from WGBH to the Awards Venue on Wednesday. The 2016 Science Media Awards Gala will be held at the Harvard Art Museum. About the Museum - ﻿Through research, teaching, professional training, and public education, the museums strive to advance the understanding and appreciation of art. Programs encourage close looking at original works of art, collaboration with campus and community partners, and the production of new scholarship. 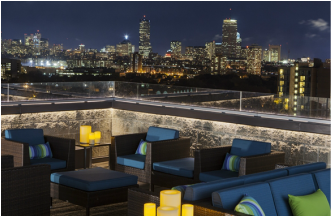 ​The DoubleTree Suites by Hilton Boston - Cambridge is our preferred lodging partner and offers significantly reduced rates. Please make your lodging reservation soon, as our block is limited! Parking at WGBH is nonexistent. We will provide transportation to WGBH from our partner hotel​, and transportation from WGBH to the Awards Venue on Wednesday.